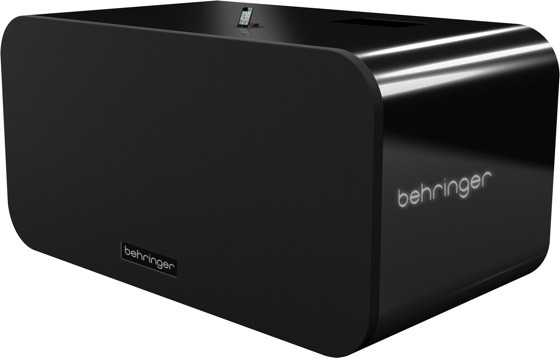 Behringer, a maker of professional audio and music equipment, is launching the world's loudest -- and largest -- iPhone dock. The iNuke Boom is 4 feet tall, 8 feet wide, weighs 700 pounds, and costs $29,999. The product is real, though the only model in existence will be at Behringer's booth at CES as an attention grabber. Behringer is using the iNuke to promote its new Eurosound line of consumer products, which will be introduced at CES 2012. No word if it goes to 11. What part don't you agree with. Behringer is a pro-audio equipment company. If you're going to dissect the word professional or have some commentary on the quality of their gear or a personal experience... lame. I thought it was a pretty clever way to express his disapproval of their equipment and made perfectly clear what he meant. It's not his fault if you're deficient at recognizing figurative language. Have you used any of there gear? Its on two ends of the spectrum, most of it is shoddy and hardly gets by, its all entry level stuff. Then theres the occasional good product from them that tends to be a rip off of another companies bit of gear. You're right, I should've added more than a simple disagreement: everything I've used of theirs has been crap. Total crap. And yes, I do consider myself a bit of a gear snob. I won't hide that fact. I personally don't consider their gear "professional". Maybe pro-sumer at best but not professional. I didn't realize it was April 1st already. Totally agree with this comment.